Companies around Europe have now signed nearly 5 GW of power purchase agreements (PPAs) with wind farms. This is almost equivalent to Denmark’s total wind energy capacity. These PPAs only started in 2014 and mainly in the ICT sector to power data centres. But now energy-intensive industries are signing them. 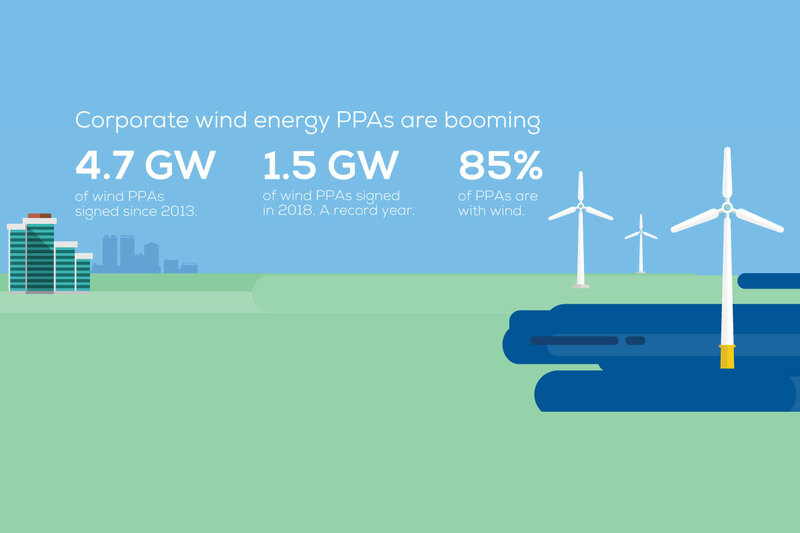 2018 saw 1.5 GW of new PPA deals with wind farms. And the aluminium sector was the most active, with Norsk Hydro and Alcoa signing big deals in Sweden and Norway. Pharmaceuticals and automotive also did their first PPAs, with Mercedes-Benz announcing deals in Poland and Germany. The latter will see wind energy powering Mercedes’ electric vehicle and battery manufacturing. 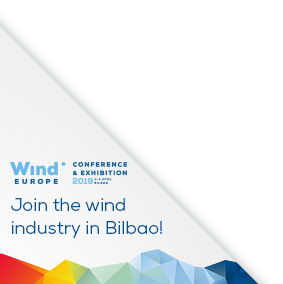 WindEurope CEO Giles Dickson said: “Corporate PPAs are booming. Industrial consumers across a range of sectors have now bought nearly 5 GW of wind energy via PPAs. 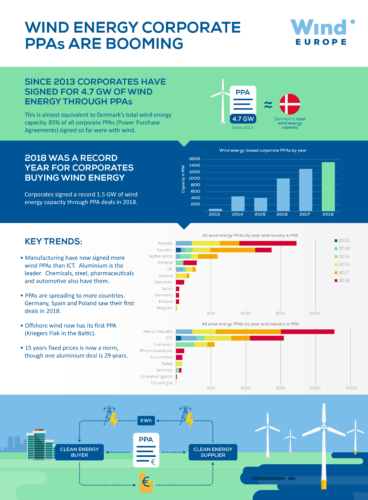 2018 saw a record number of new deals, and the first PPAs in the automotive sector and in pharmaceuticals – and the first in Germany, Spain and Poland. In Germany Mercedes are now going to use wind to power their EV and battery factories – what an advert for the Energiewende! Interested in learning more about corporate PPAs? Make sure you join RE-Source 2019, Europe’s leading corporate energy procurement event.